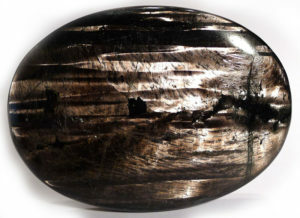 Hypersthene is a variety of enstatite. It calms, sooths, and quiets in general, and is especially helpful when the mind is overactive, shielding us from outside “noise” in a velvety, protective cocoon. It arranges both energy and thought in a more organised manner, so we can have a clearer idea of the way forward and realise solutions to problems. By calming, grounding and protecting, it is an excellent aid to deep meditation, profound inner reflection, and can take you on journeys into other dimensions of consciousness, travelling beyond the limitations of body and mind. As it calms without drowsiness, it can be effective in situations of stress where one needs to remain alert and express oneself clearly, such as in making a presentation. Enstatite is a common rock-forming mineral in the pyroxene group. It most commonly forms as massive aggregates, but occasionally forms well-developed short prismatic crystals. Gem-grade material has been mined in the localities of Mysore, India, Canada, Sri Lanka and Myanmar. It has no industrial uses, but is mined commercially as a gemstone. Enstatite forms a solid-solution series with ferrosilite (FeSiO3), meaning that iron (Fe) substitutes for magnesium (Mg), creating a series of closely related minerals depending on the level of iron to magnesium. Bronzite, which is brown with a metallic lustre, hypersthene, which is grey with an interesting play of light, and ferroan enstatite, which is also brown, are all mid-range members between enstatite and ferrosilite. 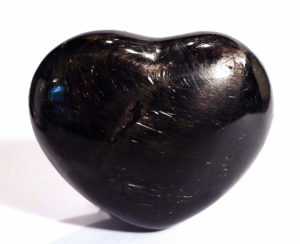 The name hypersthene is now considered redundant by mineralogists, and is generally called ferroan enstatite. However, as it is used in healing and has specific energy that differs from bronzite and translucent ferroan enstatite, I am making a distinction. 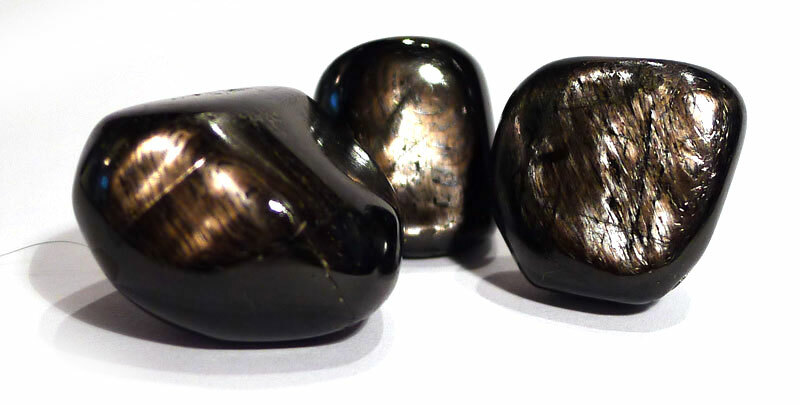 Enstatite is named from the Greek enstates – “opponent” for its refractory nature under blowpipe flame (according to MinDat). Ronald Bonawitz states that it is used as a refractory to line ovens and kilns, and therefore “opposes” heat. Bronzite is presumably named for its bronze colour and metallic lustre. The name hypersthene was discredited by the CNMMN Pyroxene Subcommittee (1988) – yes, the organisation really does exist. Due to its relatively recent discovery, there are no traditions associated with this series of minerals.